I have to admit, when I first saw Chell in the first Portal I was shocked. "I'm a girl?" followed closely by "I'm not a very attractive girl?!". 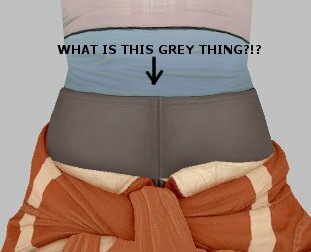 I thought I was playing a video game, but then I was just confused. Then I was impressed that they made her look so human. I was so impressed and happy'd by this rant. :D Wow. I wrote out an EXACT SAME RANT LIKE THIS, although there were less detailed rants about the costume (I have to admit I didn't look as closely as you) and more about her physical appearance. 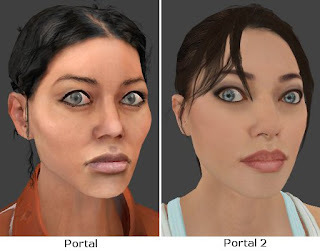 Like the makeup, the hair, and the fact that the first Chell had visible SCARS AND SCRATCHES while the second Chell, despite having survived Wheatley's courtesy call, was the same smooth shade of pink all over her body. 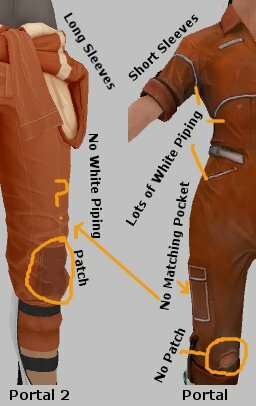 Oh, also, the first Chell had spots on her ears where some earrings had clearly been torn out. Aperture Science OWNED her. She had a story. New Chell is boring. Aperture Science lets her put on eyeliner before starting the tests, because you have to look pretty while forwarding the cause of science. Wait. I have a theory about the plastic surgery. 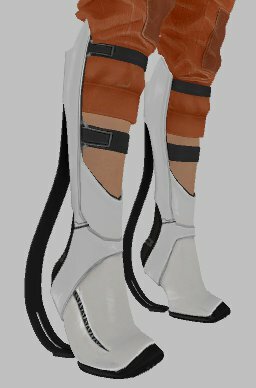 Maybe when Chell blew up the facility, she was seriously injured enough that her face was bashed in or something, and robots had to reconstruct her face, so they made it good as new, and cleaned her all up and fixed her hair because why leave it a mess, right? It doesn't explain the makeup, but gosh darn it, I have to believe there's a good reason she looks like a model. 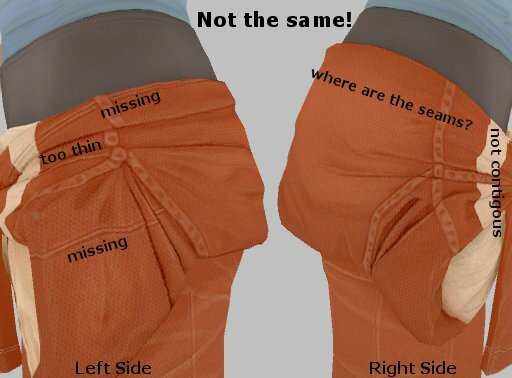 A SCIENTIFIC reason. I just saw this so I feel like I should post. Perhaps you could get a pair of boots with heels, remove the heels and go from there? 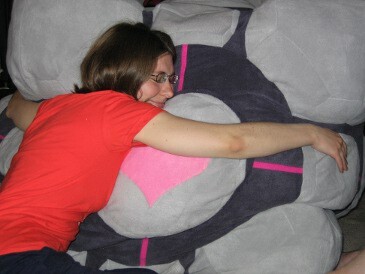 Also, the companion cube is *INCREDIBLE* which is what brought me to this site. 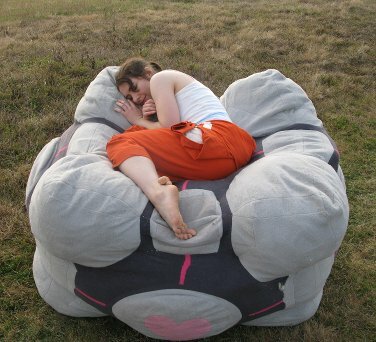 I wish I had one, and I don't even like Portal that much. I do, however, know Ellen McLain a wee bit, as there is a long story involving her husband and a wombat that I'll spare you at the present time... Have I mentioned that cube is incredible?